This makes sense when you think about what the body needs to thrive. We need to be able to take in food, break it down into useable portions, remove the nutrients we require from it, and then get rid of what’s not needed. This process of digesting food usually runs like clockwork. However, sometimes the digestive system fails, in whole or in part, which means the body is probably not being nourished as it should be. No nourishment leads to poor health in many ways. For those with compromised digestive health, natural supplements like probiotics and prebiotics can sometimes help to reset the body. These supplements aid the digestive system in healing and staying healthy, so that the body can get the nutrients and energy it needs from food and effectively expel the waste. 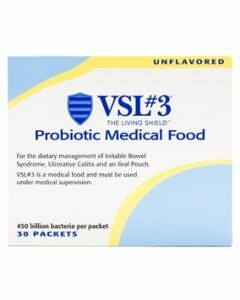 Probiotics and prebiotics work to restore digestion if it has been compromised and to keep it working like it should. 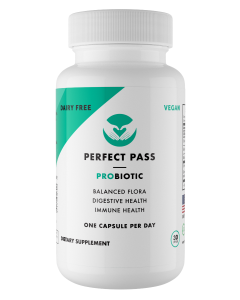 Probiotic supplements, such as our PerfectPass Probiotic, propagate the gut with friendly bacteria that keep bad bacteria from flourishing. When bad bacteria take over in the intestines, as it sometimes does due to poor diet or stress, gut problems like Crohn’s disease and IBD can occur. 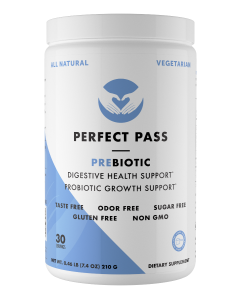 Prebiotics, such as our PerfectPass Prebiotic, are perfect for helping probiotics grow in abundance and establishing harmony in your intestinal tract. There may be nothing worse for your digestive system than junk food. Junk food is considered any food that either has nothing going for it in the way of nutrients or actually contains harmful substances, like hydrogenated oils or artificial ingredients. Junk foods compromise digestion in many ways, including damaging the intestinal lining and leaving the body without the nourishment it needs. Common junk foods that you’ll want to avoid if you seek good digestive health include those with processed white sugar, artificial flavorings and colorings, and hydrogenated oils. In place of junk foods, you’ll want to eat whole plant-based foods that contain lots of fiber. Fiber gets things moving in the bowels and keeps them moving. This helps reduce the risk of a person getting constipated, which can cause other problems in the digestive system. Good foods to eat with fiber include dark leafy green vegetables, whole grains, nuts, and seeds. Drinking enough water is important for keeping digestion working like it should, and you can speed up the digestion process by beginning each day with a cup of hot water with lemon. When you wake up, instead of coffee, turn to hot water infused with a squeeze of lemon. This drink jump-starts digestion for the day, and it’s rich in vitamin C, which aids the digestive process all day lone. Many spices aid in digestion. Some of the best include cinnamon, ginger, cardamom, nutmeg, and thyme. People have used spices for thousands of years to boost digestion and keep their systems functioning properly. You can take natural spice supplements or cook with tons of spices on a regular basis. These are five ways to improve digestion, but there are others. The key to keeping digestion functioning properly lies in eating a healthy and clean diet, staying hydrated, moving the body with gentle exercise, and keeping stress at bay. Follow these tips, and you should enjoy happy and healthy digestion on a daily basis.